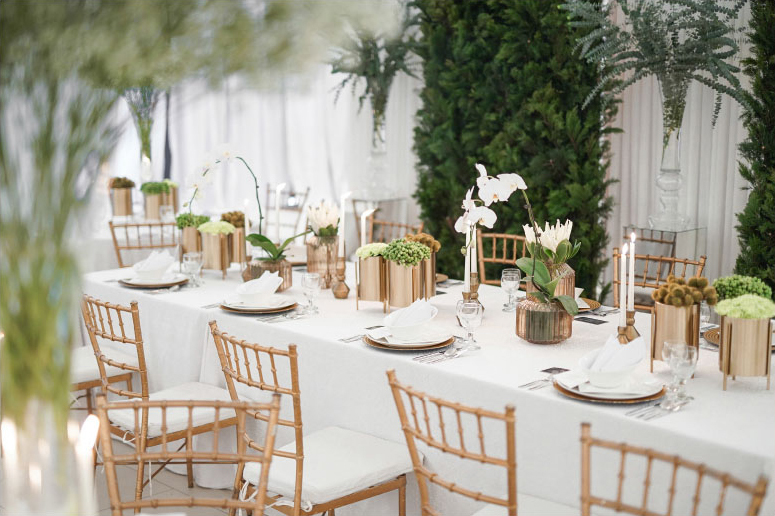 Taking his style cue from one of Leonardo da Vinci’s aphorisms, event stylist Dave Sandoval demonstrated how simplicity is the ultimate sophistication with his botanical minimalist-themed setup for Wedding Essentials Magazine at The Blue Leaf Cosmopolitan. 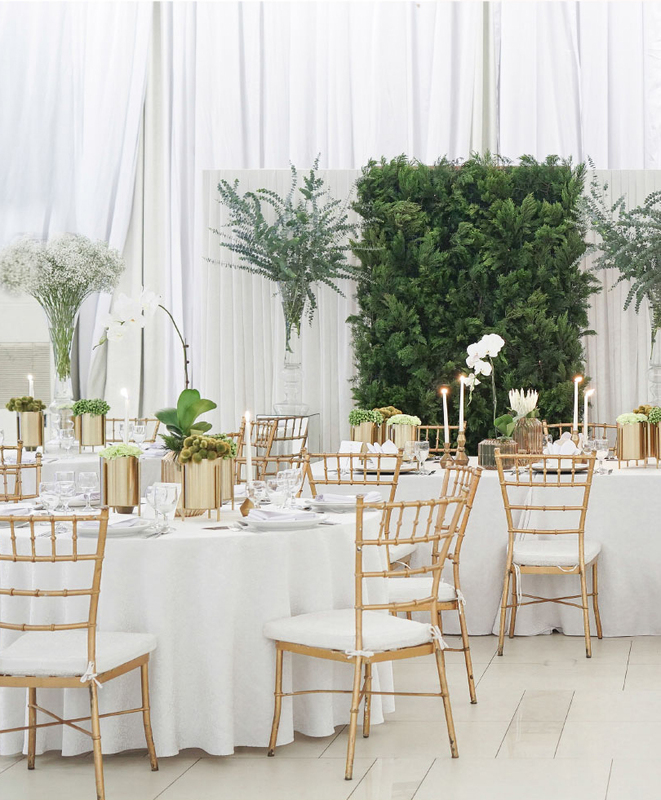 Situated at the Monet Hall with its expansive walls entirely swathed in white, gossamer fabric, Sandoval’s setup evoked a fresh spring feel with its scattering of verdant plants and white blooms amidst an immaculate setting done in shades of white. “It’s an effortless interpretation of the theme,” explains Sandoval of his aesthetic, which is intended for people who consider relaxation and discourse paramount over design. 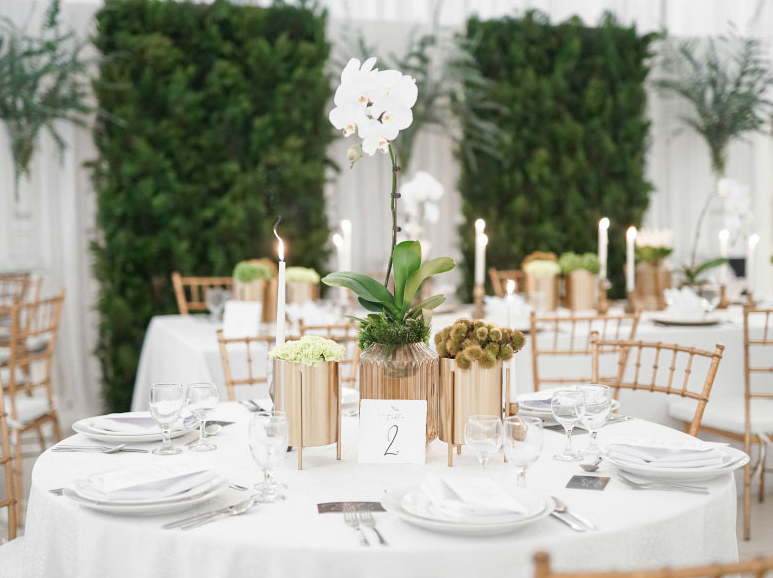 Using mostly low pieces to encourage the flow of conversation, the stylist kept the centerpieces polished and minimal, ensuring clean lines and a straightforward layout. The VIP table and guest tables are similarly decked in white tablecloth with embossed floral print, as well as sport the same arrangement. 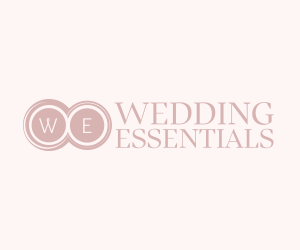 The only distinction is towering bouquets of white Gypsophilas from Ecuador are placed on the middle of each guest table. To achieve warmth, Sandoval chose green and white flowers, as well as accents of gold and copper. By intentionally grouping together one type of bloom per container, he ensured that the flower arrangement reflected the theme’s clean and low-effort aspect. 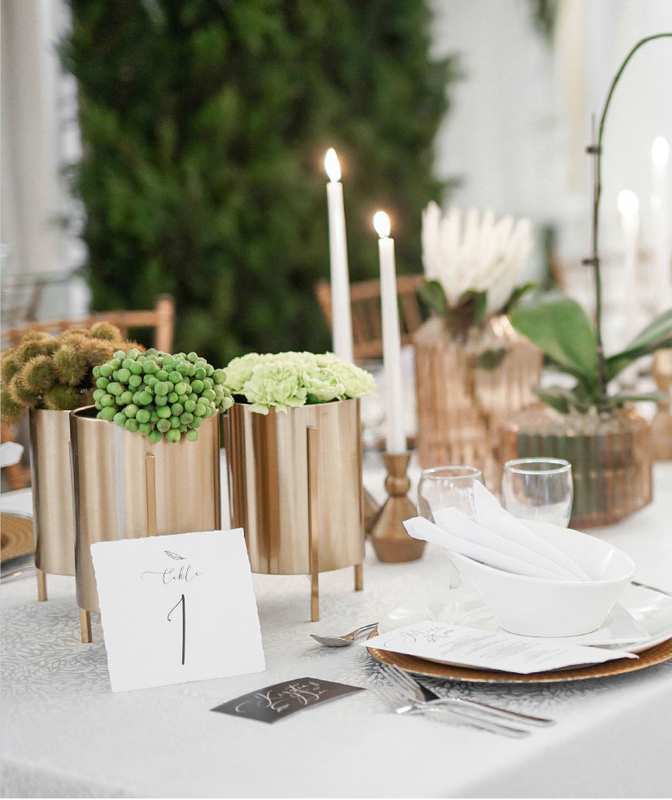 For texture, gold brass jars of green carnations, berries, and achiote plants adorn each table, while sprigs of imported white King Proteas and Phalaenopsis Orchids on copper glass vases are added for freshness. Meanwhile, tall, slim white candles on mini brass candleholders dot the rest of the space, along with standard white plates and cutlery. Black and white menus and table cards from Print Divas complete the rest of the table setting, along with invitations accompanied by RSVP cards. 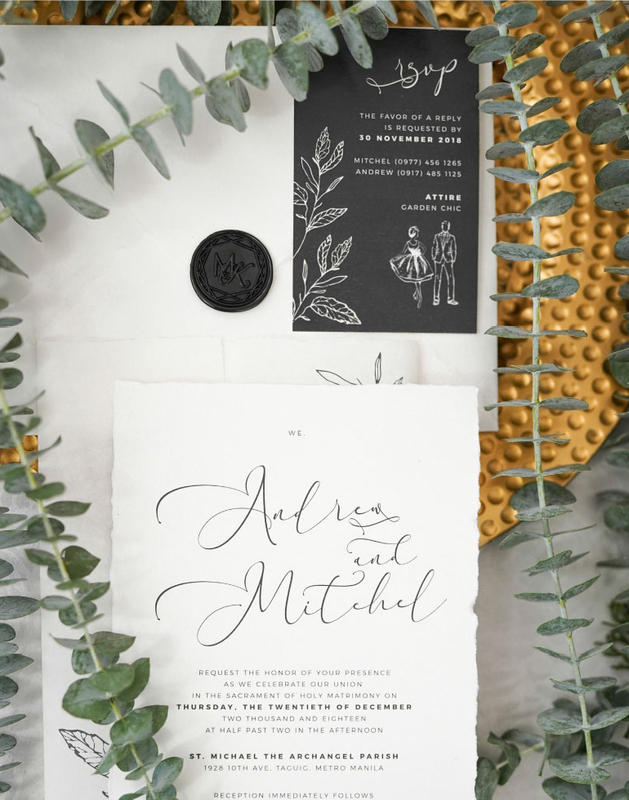 Made of simple matte paper embellished with design prints and elegant script, the stationery features a hand-cut trim that extends to the invitation, along with parchment paper and envelope with a wax seal, giving off a natural touch. The earthy vibe extends to the backdrop, which is made to resemble a mini vertical garden. Fresh cypress leaves are mounted on a metal frame to create a stripe of foliage that interlays with soft, white fabric, and is framed by tall glass pillars topped with vases of eucalyptus leaves. Redolent with the smell of pine trees, the frame serves as the couple’s area and can double as a backdrop for taking photos. For the sweet finale, a three-tiered wedding cake by Bethany Dream sits on the cake table, surrounded by bouquets of green carnations, berries, achiote plants, white King Proteas and Phalaenopsis Orchids, as well as a giant cascade of Gypsophilas, green carnations, and eucalyptus leaves. The cake is entirely covered in green and white marbled fondant featuring a large leaf wreath in similar colors, dotted with gold berries. 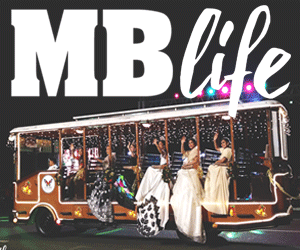 The wreath encircles the couple’s initials, which is sprawled in bold calligraphy. 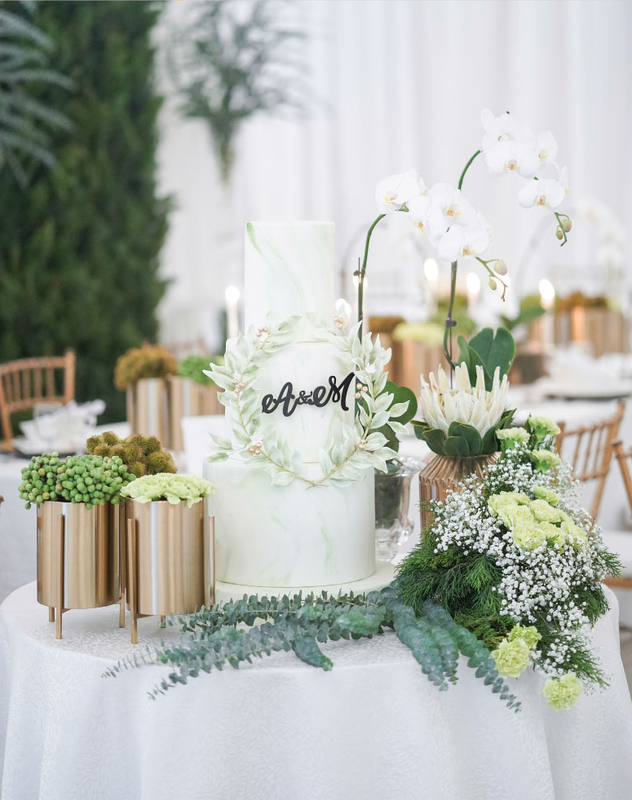 From the color scheme to the wedding cake, Sandoval’s design is cohesively put together, resulting in a setup that is every bit as elegant as it is effortless.